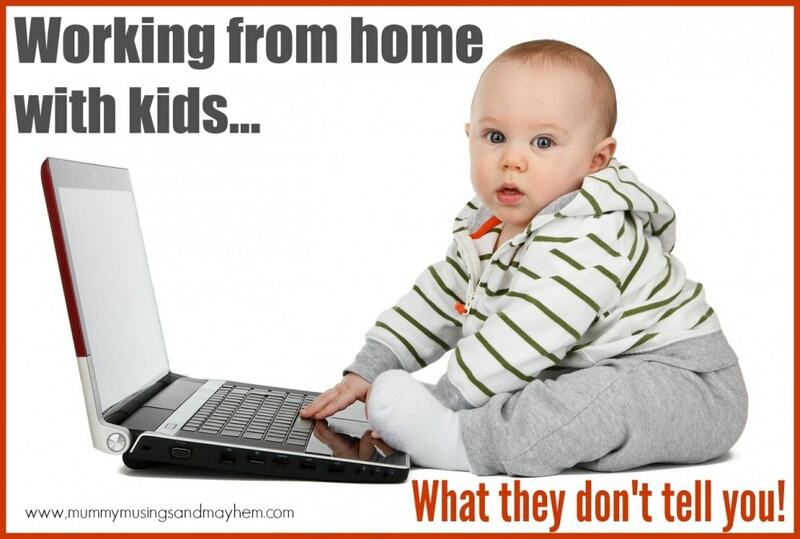 Working from home with kids – What they don’t tell you! 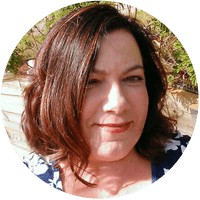 Being able to stay home and combine parenting with paid work is a dream for many parents I know – After many years working outside the home I now find myself able to run two businesses from home….the dream has been realised! But guess what? I have never been more physically exhausted or emotionally drained in my entire career!! Do I love it? Yes. Do I hate it? Yes. Do I regret it? No. Do I get to spend more time with my children? Yes, the little darlings are right here with me.every.single.day. and.night. Yay. What I have learnt is that it’s a fine line between ‘fitting it all in and living the dream ‘and ‘giving yourself a nervous breakdown‘. 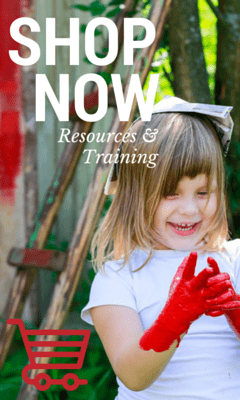 Don’t get me wrong, I do love running my home daycare business as well as my consulting, resources and writing business…but it certainly isn’t easy and I have certainly had to learn a few lessons to survive each day relatively unscathed and intact. So here’s what I have learnt so far…..
Will help you to realise that even though soundproof walls are expensive for the average home it could actually be worth the investment. Will make you feel even more parent guilt than when you worked outside the home because now you actually find yourself wanting and dreaming of that lunchbreak in a cramped staff room or going to the toilet again without your little wonders in tow. Will ensure you never have to pack a lunch for yourself again – there will be plenty of vegemite crusts and half eaten bits of cheese and fruit for you to lunch on. And if you are extra lucky you can still have half a cup of cold tea or coffee and then clean up after everyone else has finished. Brill! Ensures you no longer have to spend money on expensive work clothes and waste time on things like makeup and hair brushing. Unless the courier guy delivering all your online purchases because you no longer get out of the house is worth the effort. Obviously. Makes you trip over your words and sound like a bumbling fool when people ask if you work. For some reason I find myself mumbling something about yes I work but it’s from home so I don’t really go out to work or anything….and then give up and acknowledge that awkward nod while feeling as though I have just said I am collecting dole payments or something. There is no prestige in saying you work from home! Makes you truly worship the time of the day I like to call ‘Now you may think time’ The holy grail, the time that keeps you hanging in there all day, the time when the house falls silent and for a short space of time you may talk on the phone uninterrupted or actually complete paperwork without shorthand and spelling mistakes. REST TIME. Around an hour of time to just think your thoughts. If you are exceptionally lucky (and this doesn’t happen often) you might get 2 hours. Worship this time wisely friends and give it the respect and reverence it deserves. Will ensure that you are never able to pick up a phone call or open your laptop again without a child coming at lightening speed from nowhere to interrupt this task. And then staying just long enough for you to give up….at which point they will be happy to walk off and amuse themselves. Will make you bombard your partner with conversation and tales about your day because they are the only adult you have successfully managed to speak to so far that day. And no you will not pause when they ask you to slow down because frankly someone else will start talking and it’s your turn now dammit, you’ve waited all day for this. Sees you wearing those ‘comfortable work from home clothes but stops you from honestly contemplating how much weight you are putting on as you reach for the children’s leftovers once again. You will find yourself putting on washing, doing dishes and cleaning instead of working on that important deadline because your office is your home….and you don’t earn enough yet to get a cleaner in. You no longer have to do that awful commute in traffic after dropping the kids off to childcare. No longer will you have to sit in that quiet cocoon called your car listening to the radio station or music of YOUR CHOOSING. No longer will you have to just sit and hear your thoughts, plan your day ahead or just embrace the moment of solitude. Yep, dodged a bullet there! Means you won’t have to clock on but you certainly don’t get to clock off either. Ever. Your work might be able to wait but the family certainly won’t. You just switch roles. In business speak this is code for ‘working overtime’. Without penalty rates though. Ever. Means you won’t have to deal with annoying co workers dumping their drama into your lap, stealing your lunch from the fridge or piling more work on your desk. You will however have to cope with grubby little fingers helping themselves to the biscuit or piece of chocolate you had been coveting all morning. You will have to change stinky nappies with one hand while talking on the phone to a client with the other, you will have to listen to tantrums and trip over toys in your ‘office’. But you won’t need to listen to that annoying bitchy coworker which would obviously be much, much worse. Win win situation right there. You will be tempted by that cold bottle of white wine just sitting there in the fridge all day but can’t touch because you are working and well it’s not really great parenting to drink with the kids playing lego at your feet in the middle of the day. It’s a tough call…You don’t get that sort of drama or temptation in the office though do you? You become very clever at not letting your partner see how resentful you are when they come home at the end of the day after their quiet commute, solo toilet trips and hour long lunch where they probably even got to eat lunch.You love welcoming them home and serving dinner up because you ‘work from home’ so it’s lucky you have time to do that stuff too. After all they have been working hard all day and so have you…but you are too tired to point out the flaws in that argument and you still have work to finish after they are all fed and in bed so you will swallow your words and plant a smile on your face. Well, sometimes that works…..well 1 out of 5 nights it does anyway and it’s the trying that counts isn’t it not the screaming like a banshee as soon as they walk in the door part. You’ll need to just go with me on that one. You will realise that instead of becoming the brilliant parent who is able to spend more ‘quality time’ with your children you will find yourself in reality spending less…or trying to anyway. You are trying to work and they are trying to play. It becomes a stand off and you know you are going to lose. Spend more time at play and the work doesn’t get done. Spend more time working and the guilt comes and slaps you on the back. Probably best at those moments to remind yourself how ‘lucky’ you are to work from home and how your children love you no matter what. Especially when you hand them a chocolate bar so you can finish writing. Never underestimate multitasking and effective time management. You will learn to function on 4 hours sleep a night because you have started to embrace the power of the quiet midnight hours to work. You will forget about all of the above and know that although it’s a lot of hard work it is rewarding and it is special to be able to work from home with your own children. You will be tired though….but isn’t every parent? Do you work from home ? What have you learnt? I’d love to hear about any strategies you use to stay sane and productive! 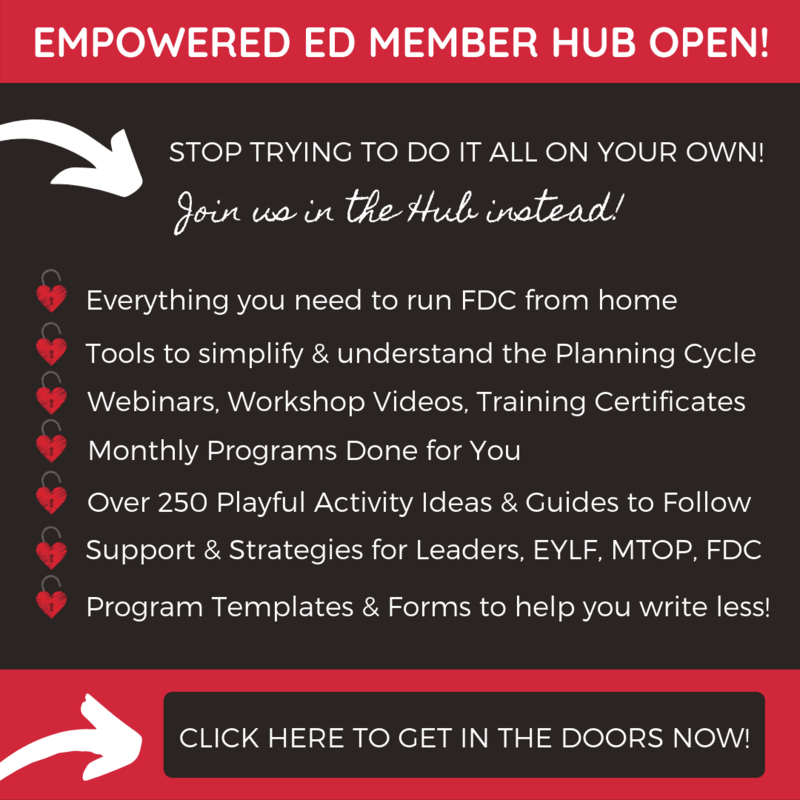 Have you signed up for my free monthly newsletter to be delivered to your inbox? 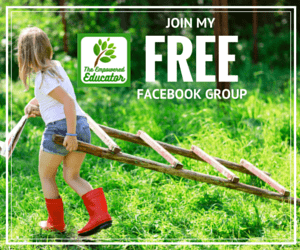 « Online webinars and training for educators – How to make them work for you! Hahaha, I LOVED your post. I work from home too, and yeah, it is insane… but yeah, also rewarding. Your post really made me laugh (by recognizing my reality) haha.